Snow in the forecast? It must be spring! We took the winter tires off the car 2 weeks ago. Last week I removed the snow plow off the tractor (Not once did I have to clear the driveway this winter. I never got a chance to try out the new tractor in the snow). Now there is a winter storm warning for us here in Niagara today – and for much of southern Ontario too. Up to 30 cm of the white stuff is expected. Of course! While this is not unusual, it is a bit disappointing. Where was this snow earlier in the season when it would have been welcomed & enjoyed? After a balmy winter, we were anticipating an early & sustained spring. 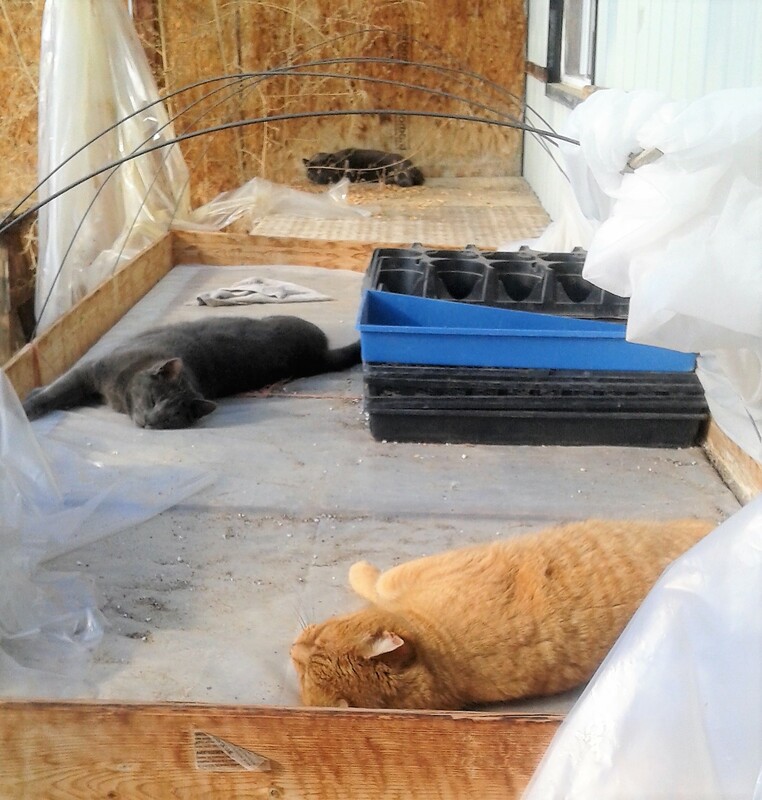 But it is spring in the greenhouse! 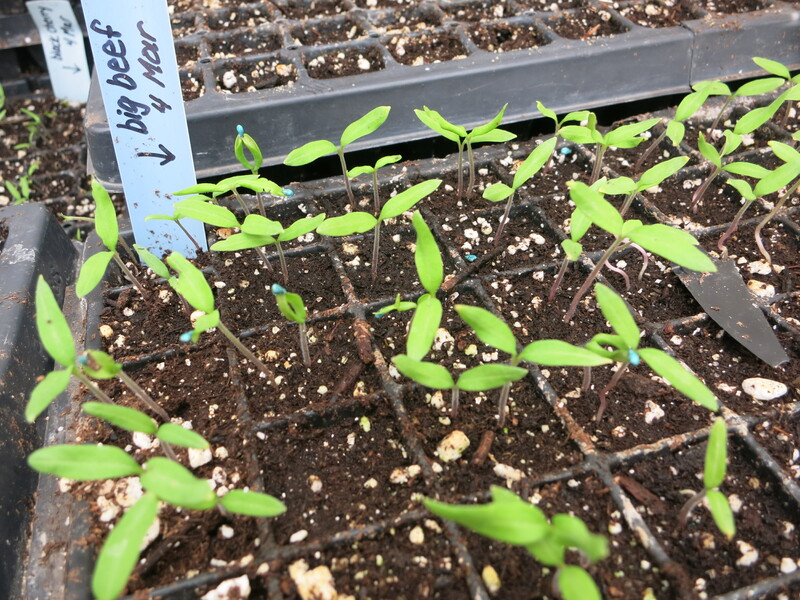 We have done a lot of seeding already – onions, tomatoes, sweet peppers, hot peppers, various herbs & eggplant. 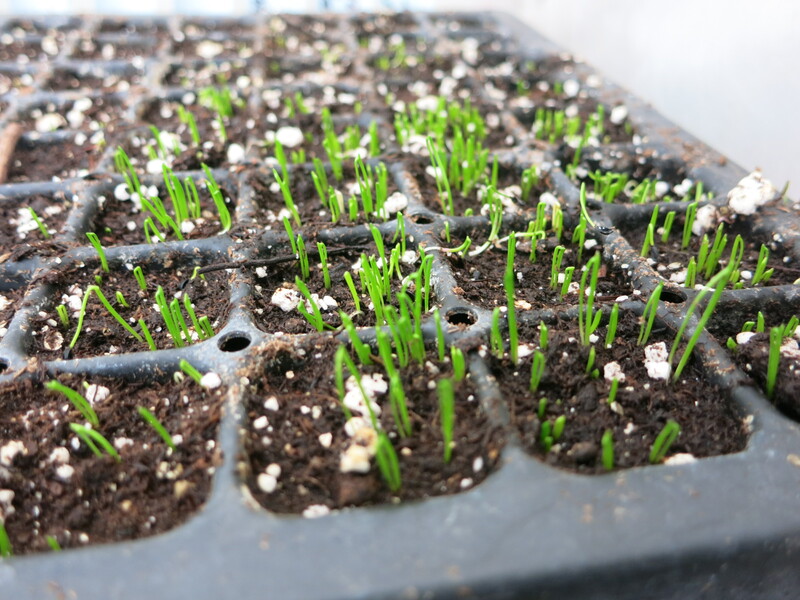 The colder temperatures of the past few days are making life difficult for these tender seedlings. 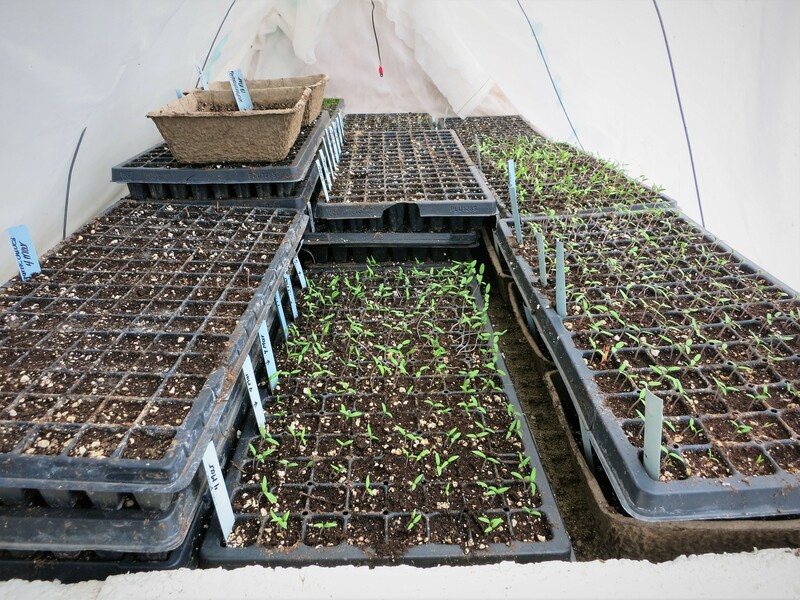 Our low-tech germination set-up relies mostly on the sun & warm outdoor temperatures to keep things going. 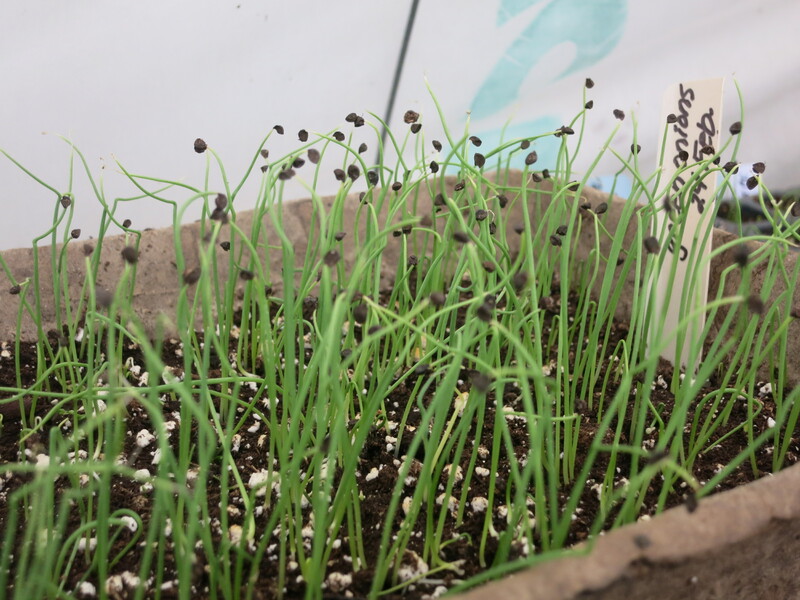 (check out last spring’s blog post for all the details on how we start our seeds – https://thiessenfarms.com/2016/03/23/growing-seeds). 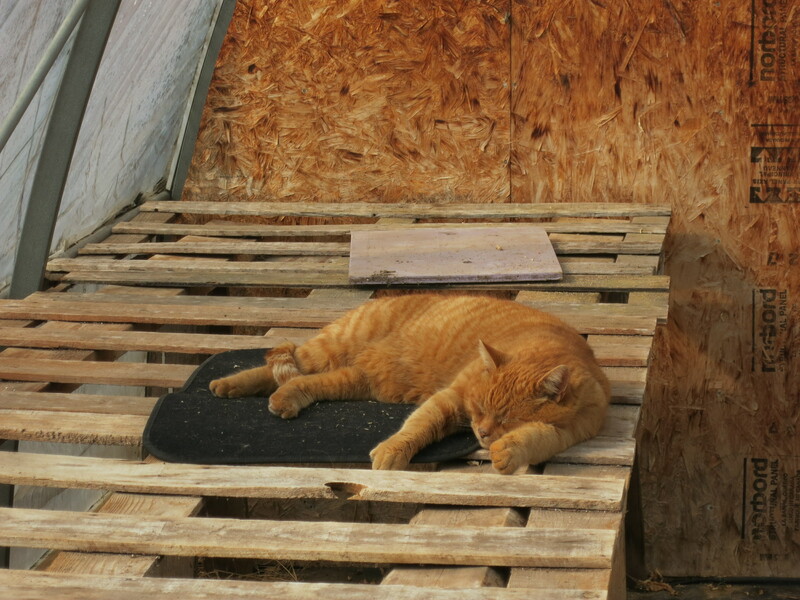 I’ve got the wood stove in the shop going full blast to help keep it & the greenhouse warmer. Now that it is being used for it’s intended purpose the 2 grey ones have been expelled for unacceptable behaviour – ripping the plastic. Oliver is still allowed in … so far!